In the past few years, the domestic smart TV market has experienced many types of changes, from ordinary LED to OLED, from 1080P HDTVs to 4K TVs. Both the traditional TV companies and the new Internet TV manufacturers are pursuing the answer to a question: When there is a clearer screen, what is the user's next pain point? Just yesterday (August 21st), just as the whole nation celebrated the women's volleyball team's winning the gold medal in the last day of Rio, Cool developed its new high-end flagship fit TV 55A2 product. This series is considered cool. Open a new product of the 2 Series. And, in the same day, he also announced the opening of the 829 fan festival. The theme is "Happy day playing." Indeed, the writer saw the cool new products on the spot, and saw the cool open in the fan business level. Cool play really play is "big!" When Cooca is independent from Skyworth, it operates differently from Internet thinking. To Skyworth TV and Cool TV, through the Cool Open System, provides personalized content services to over 17.5 million households, with over 50 million audiences. 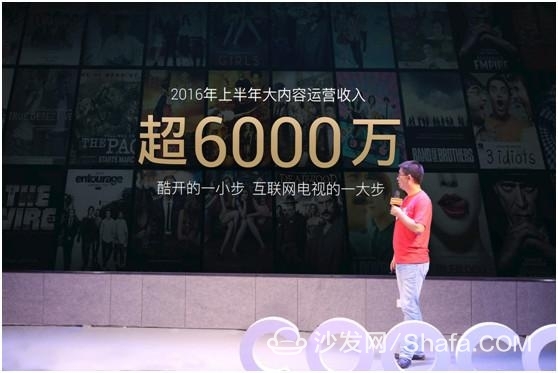 In the first half of 2016, Coolopen already exceeded its full-year revenue in 2015â€”up to 60 million. 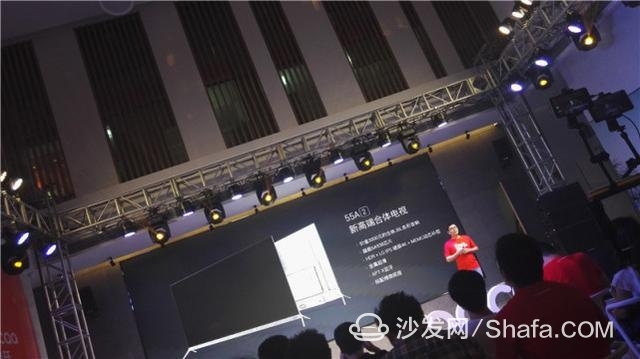 The author saw the new flagship product released on the day and also saw Wang Zhiguo, the chairman of Kukai, who was dubbed â€œMaster Wangâ€. His ideas and business ideas seem to be able to look at the whole picture from above. The first pain point is: By combining the way with super-strong sound, so that the big TV to play a home theater-like effect, audio and video combination is the smart TV that users expect. We all know that from the old-fashioned home theater to split TV, and then to this combined TV, the domestic TV market has thought a lot and made many attempts. However, end users do not care whether you are split or fit, but also care about whether you can give better audio and video enjoyment. The 55-inch fit TV 55A2 put out at the scene apparently comes from this: it uses a TV + independent sound fit design, so that you no longer bother about the stacking of the living room playback equipment, one is good! ; it let you Even if you don't use an external audio system, you can enjoy a more realistic and reverberant cinematic effect. You can do it without leaving your home! 3, of course, reliable performance! 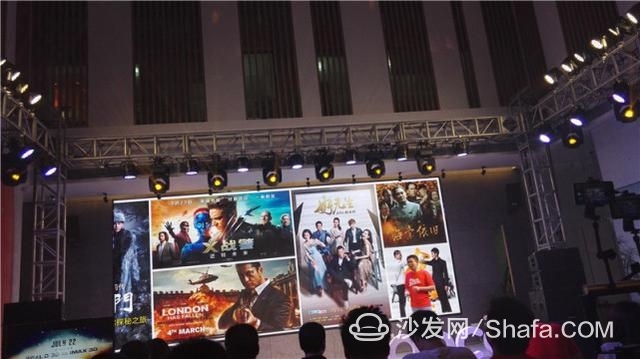 The author has contacted more than 3 brands and more than 5 smart TV products since the smart TV in the domestic television industry has been in great development. They have witnessed the development of smart TVs from the original state to the Dacheng state. They are from the youngest, only independent and independent systems, but the experience is not smooth. Nowadays they can even match the smooth experience of an ordinary smart phone. Nowadays, the author uses a large TV with an Mstar6A938 processor in his home. Its features are simple and powerful. It is already the most powerful chip for today's TV processors; it comes with 2GB of memory, 8GB of storage, and 128GB of storage. Expansion, for the smooth running of the TV, lay a solid foundation; LG 4K ultra-clear screen, HDR decoding, MEMC dynamic compensation, show the ultimate beauty of the image; while ensuring performance, the whole machine is more slim, only 9.9mm metal The fuselage, full of simple and elegant beauty. From performance to design to screen material, this cool open new product really played a ticket "big"! The author experienced a variety of TV brands and models, and after many different groups of people experience. Those who demand the performance of television are enough to meet now; people who have requirements for the display effect of TV screens are obviously enough for today's 4K screen; people who have expectations for TV expansion performance are now smart TVs and an ordinary one. There is no difference between computers. People who have demand for content are still waiting silently.. It's very simple, because the content you want to watch must be charged, because the good-looking content needs a little bit of it to search for, and the TV series you want to chase needs to search every day. Smart, poor content recommendations have been boring enough. The Cool Opening and Closing TV 55A2 has â€œexclusive curative effectâ€ in this respect: the so-called big content is to provide users with more than just movies, but also education, health, games, tourism, shopping, music, sports, etc. Content, in the end, is essentially a combination of big content + good hardware. Is this the smart TV you want? After completing this, Master Wang announced the opening of the 829 Fan Festival. 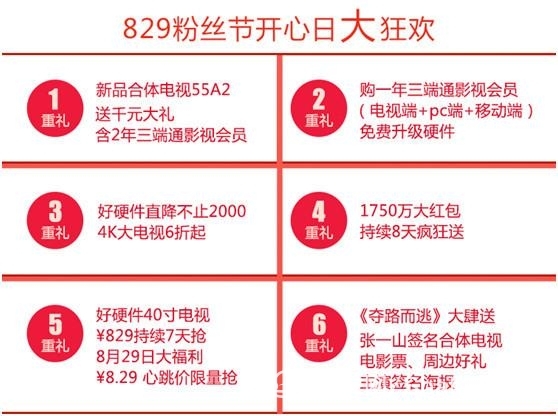 From now on, until August 29th, a good hardware TV subsidy of more than 2000 yuan, 4K large-screen TV 60% discount, 17.5 million red envelope delivery , 40 å‹ TV 829 yuan a day (last day 8.29 yuan!) spike, buy three-end film and television members, free upgrade hardware! In addition, Kukai also United Nubian, rapoo game, XIRO drone, SF, calf Electric, product wins, sings and other six brands, strong non-profit, all in cool open 829 fan festival! 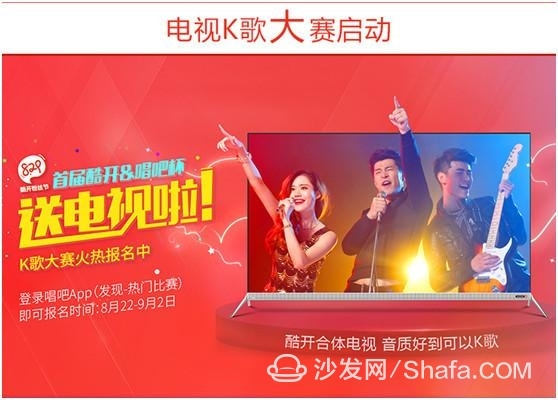 There are more fun, there are more discounts, you can also perform TV karaoke contest. What are you waiting for? Smart TV/box information can focus on smart TV information network sofa butler (http://), China's influential TV box and smart TV website, providing information, communication, TV boxes, smart TVs, smart TV software, etc. Answering questions.